Here at CimmaronStJohn in the beautiful Virgin Islands, we are surrounded by gorgeous beaches, calming waters, and beckoning sunshine. We’re also surrounded by some pretty delectable restaurants. Where to eat in St. John might be the last thing on your mind, with your focus on white sandy beaches, watersports, and island exploration. However, you will get hungry after a morning in the sun and on the water. If you’re wondering where to eat in St. John, here are just a few of the best places, ordered from classy to casual. The Extra Virgin Bistro in St. John is dedicated to providing locally grown and sourced products, and the restaurant’s herbs are grown on-site. At this fine dining location, start off with a grapefruit margarita or Old San Juan before crispy calamari, potato gnocchi, lump crab cakes, or duck confit warm sweet potato salad. Then enjoy a premier entree, selecting from dishes such as local panko fried smashed conch, surf & turf, and cioppino. Zozo’s in St. John is located in Caneel Bay within the ruins of an 1800s sugar mill. Zozo’s is a great option when looking where to eat in St. John, not only because of its historic and relaxing atmosphere and spectacular views but also its high-class menu, though you can expect to break out your wallet. Grilled octopus, filet mignon meatball, and wild boar cacciatore are just a few primos, while beet or watermelon salad make the starters as well. Choose from duck confit ravioli or scallop lasagna for your pasta, or indulge in pan-seared jumbo shrimp, veal chop, or grilled swordfish for your pesce e carne. When deciding where to eat in St. John, a waterfront location might be on your list. If that is the case, then go to the Terrace Restaurant in Cruz Bay. With French-inspired fine dining and an extensive wine menu, this could be a romantic getaway with a sunset backdrop. Appetizers include escargots, seared sea scallops, and cream of garlic soup, while featured entrees are butter poached Caribbean lobster tail, seared yellowfin tuna nicoise, and grass fed black angus filet mignon. The desserts are to die for, from a honey lavender pound cake to salted butter caramel crepes. A great bar and restaurant option when choosing where to eat in St. John is Rhumb Lines. You can begin with summer rolls, fusion chicken cool cups, or shrimp & corn fritters or choose from some delectable soups and salads such as fresh mango gazpacho, trans-Pacific ceviche, or pistachio-crusted goat cheese. The unique entrees are really a treat, with menu items such as grilled banana Mahi-Mahi, Cuban mojo pork, spicy blackened diver scallops, plum glazed chicken, or vegetarian nirvana. Healthy, fresh options are available at The Longboard Coastal Cantina in Cruz Bay. If healthy choices are at the top of your list when considering where to eat in St. John, this is a great option. Bar snacks include passion fruit pico, island guacamole, and cilantro lime hummus. Longboard sliders, conch and shrimp lettuce wraps, and a mango pepper quesadilla make the small plates while taco and bowl options include Caribbean spice, roasted cauliflower, avocado, ahi tuna, and shrimp. You can also get sushi or a salad. When selecting where to eat in St. John, Cruz Bay Landing hosts a brilliant location just a few steps off the ferry dock. This more relaxed eatery includes breakfast, lunch, and dinner options 7 days a week. Recharge in the morning with specialty blue banana or cinnamon swirl pancakes, a selection of omelettes, or a crab cake bennie. Then, enjoy a house burger, fresh fish sandwich, baja fish tacos, or pretzel Philly for lunch with waffle fries, sesame coleslaw or a watermelon slice on the side. For dinner, choose from the surf & turf menu with selections such as fish or shrimp and chips, coconut shrimp with crab cakes, a grilled chicken sandwich, or a Caribbean roti. The Sun Dog Cafe is a great selection for where to eat in St. John with live music. This casual courtyard dining option in Mongoose Junction offers classics like grilled cheese sandwiches, hamburgers, caesar salads, quesadillas, and pizza. If you’re looking for something simple and inexpensive but still delicious, Sun Dog Cafe is the place to go! Skinny Legs in St. John, VI, calls itself “a pretty ok place.” However, it is in fact a favorite on the island. The menu includes classics like hamburgers, hotdogs, and sandwiches that range from BLTs to grilled Mahi-Mahi. After a long day on the beach letting the sun drain your energy while giving you that sought-after tan, these great American plates will be sure to satisfy. Then, follow them up with some key lime pie or ice cream! Come back to your CimmaronStJohn vacation rental after dining at one of these choice restaurants on the island. 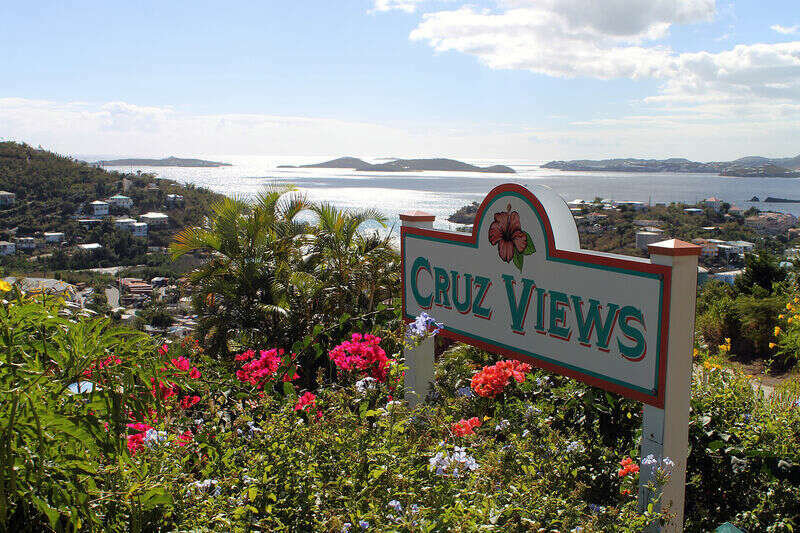 After deciding where to eat in St. John and enjoying a delicious meal, relax in your private home, taking in the spectacular ocean views that await!